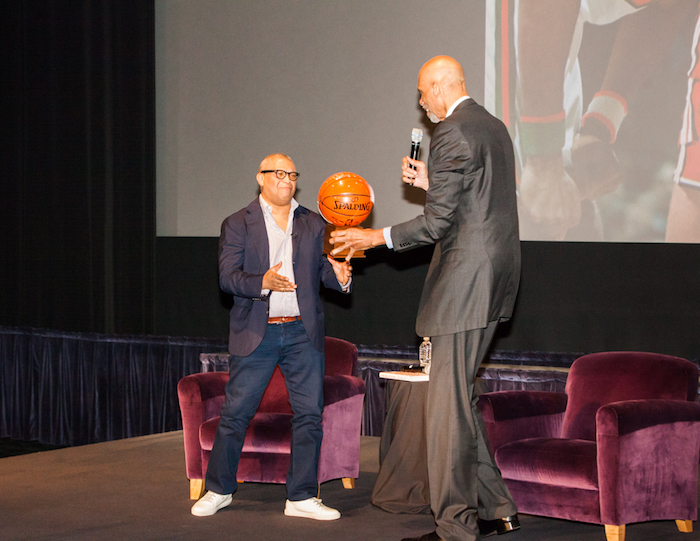 FoxGives is an organization that offers Fox colleagues in Los Angeles opportunities to engage in purpose-driven programs tied to the content they produce and the communities in which they live and operate. Through philanthropic support of non-profit organizations, hands-on volunteering, screenings and discussions, their goal is to positively impact the world around us, bettering ourselves in the process. FoxGives is a key initiative of 21st Century Fox Social Impact. 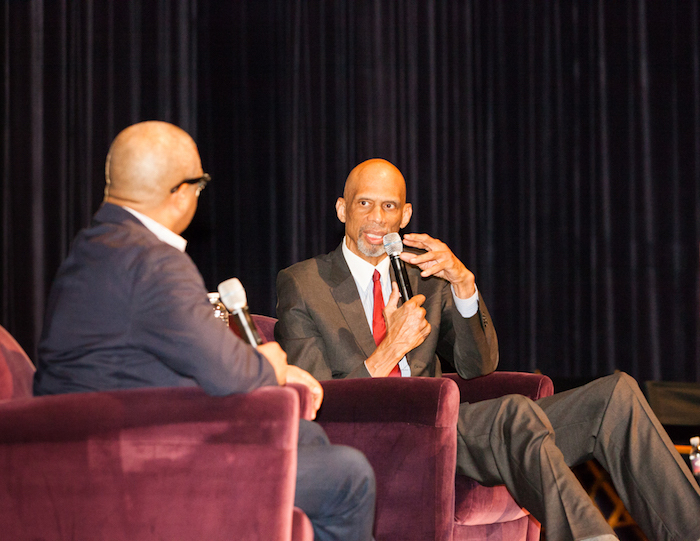 FoxGives invited me to participate in a wide ranging conversation with Kareem Abdul-Jabbar on not only his life, but Media, Culture and Race as a whole. Below are some pictures from the event. 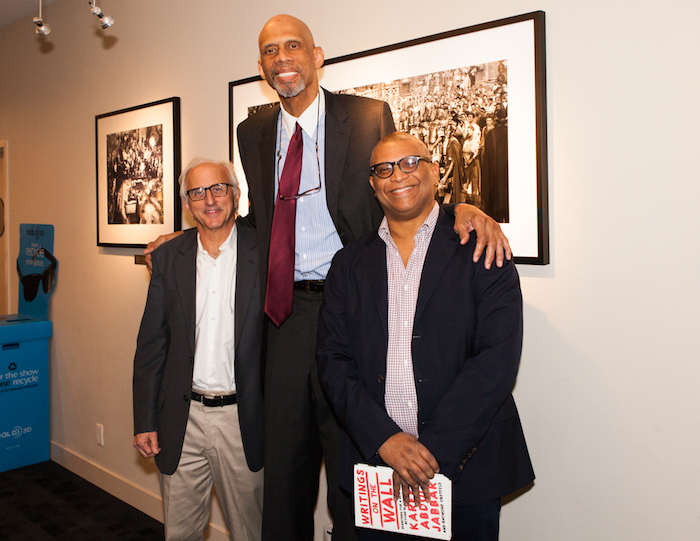 Here I am with Kareem and Tony Safford of Fox prior to the event. 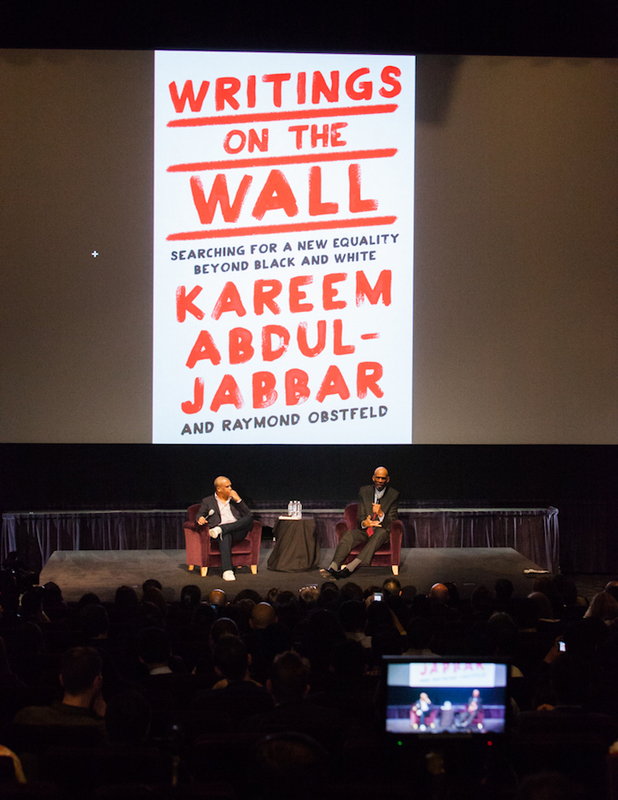 Here we discuss Kareem’s latest book. 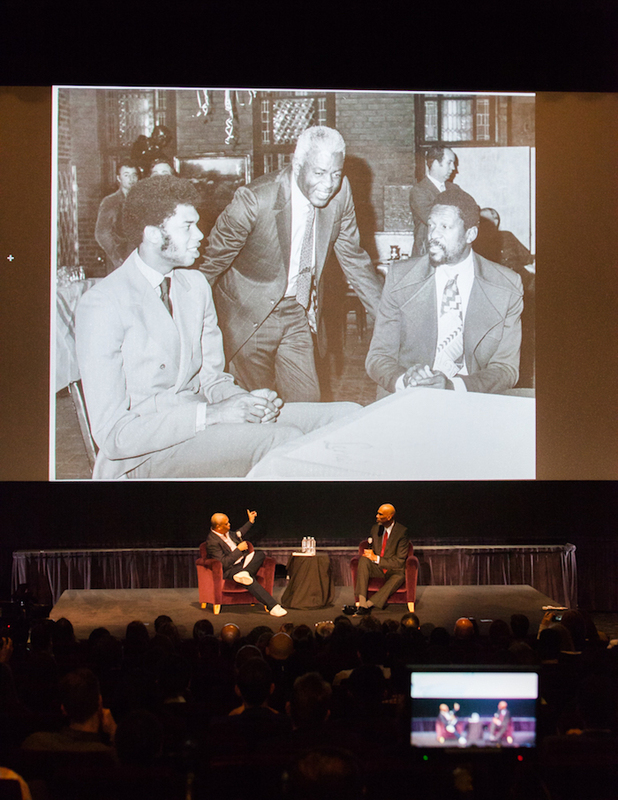 Here we discuss Kareem meeting his idols Jackie Robinson and Bill Russell. 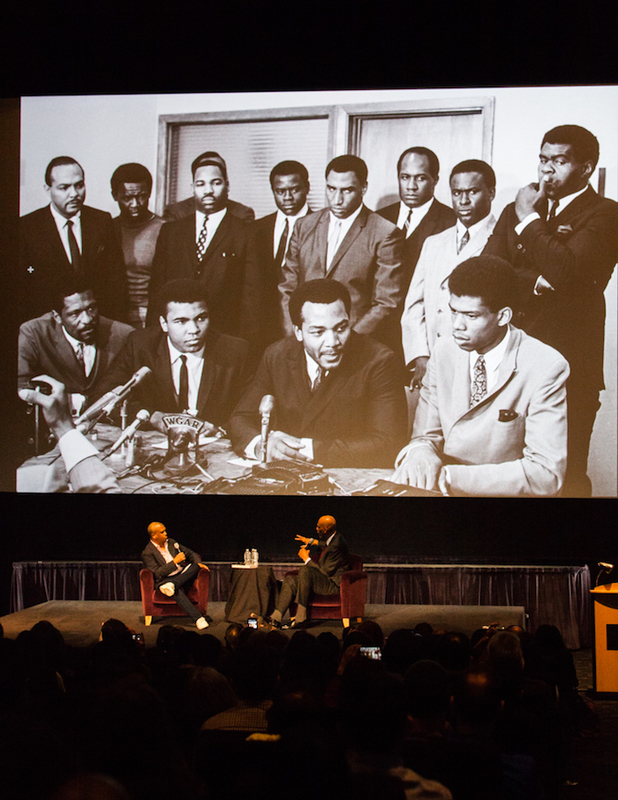 Here we discuss Kareem coming to the defense of Muhammad Ali with Bill Russell and Jim Brown. 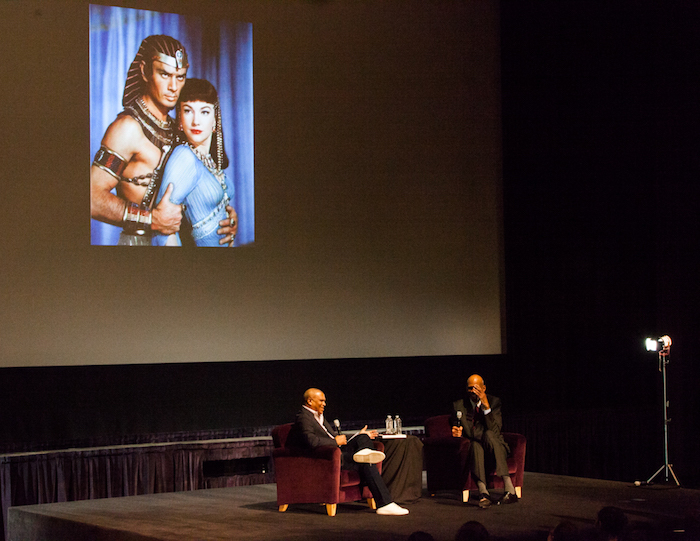 Here we discuss the cultural appropriation and whitewashing of Egyptians in mainstream media. 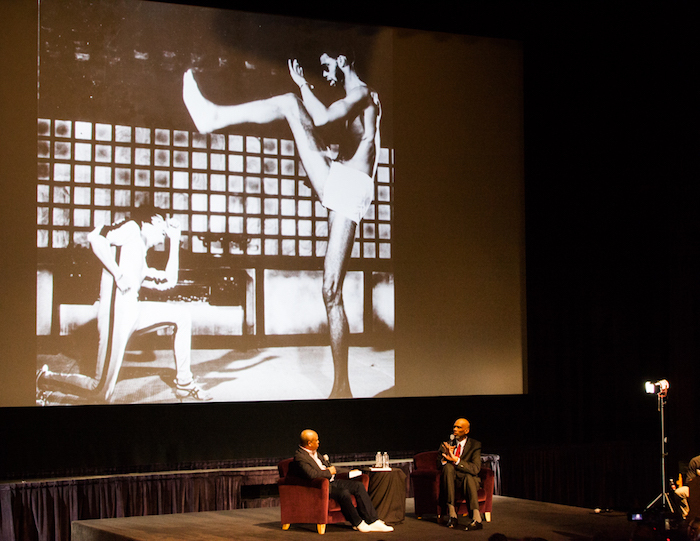 Here we discuss Kareem’s time with Bruce Lee. 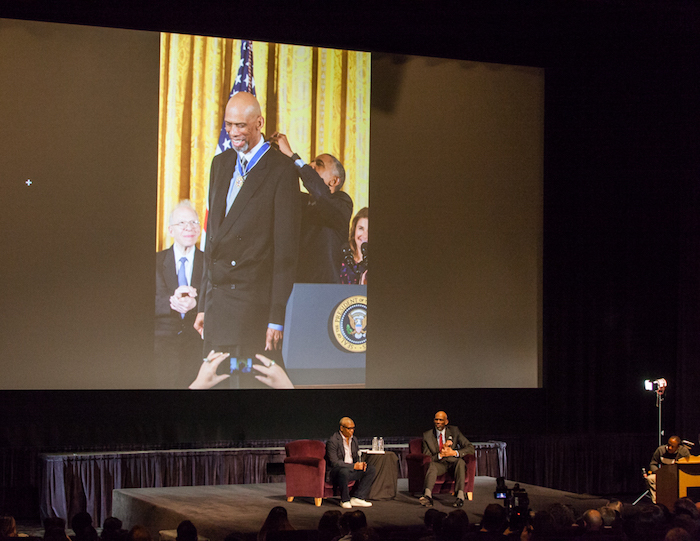 Here we discuss Kareem being awarded Presidential Medal of Freedom. Afterwards he signed a basketball on the spot and gave it to me!! 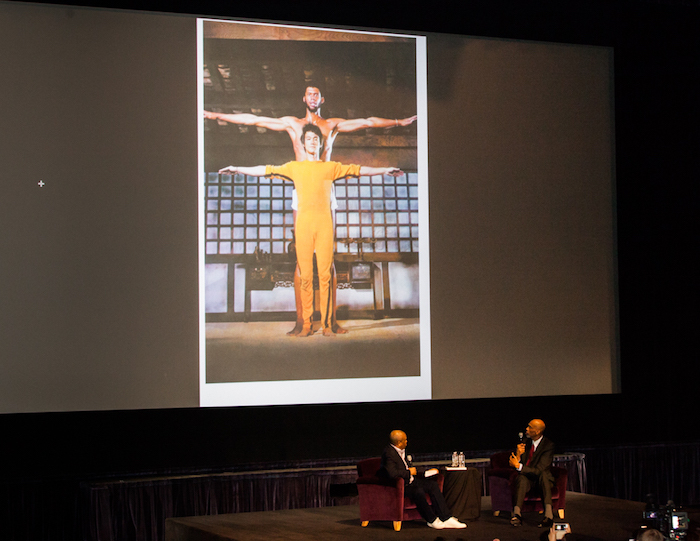 The entire event was a remarkable experience!